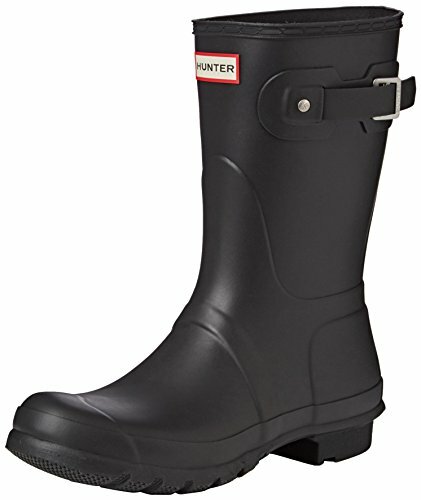 This short rain boot is handcrafted from 28 parts, in the same form as the Hunter Original Tall. The calf length boot is 24cm high compared to 37.5cm on the original tall boot. The Hunter short boot is part of Hunter Original Core Concept - a seasonless collection of weatherproof icons in a rich color palette. Today every pair is still handcrafted from 28 parts and has been developed to ensure the perfect function, comfort and aesthetic, for which Hunter has known the world over.